1. 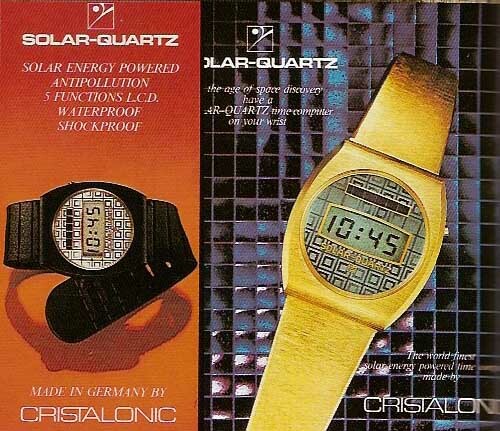 Synchronar - Conceived in the early sixties and first produced in 1968, the first Solar watch ever was invented by the reclusive inventor Roger Riehl. 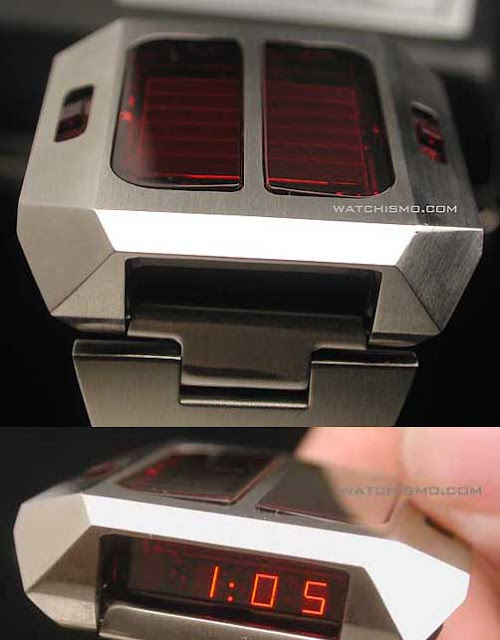 Solar panels on the top with a sideview LED display. 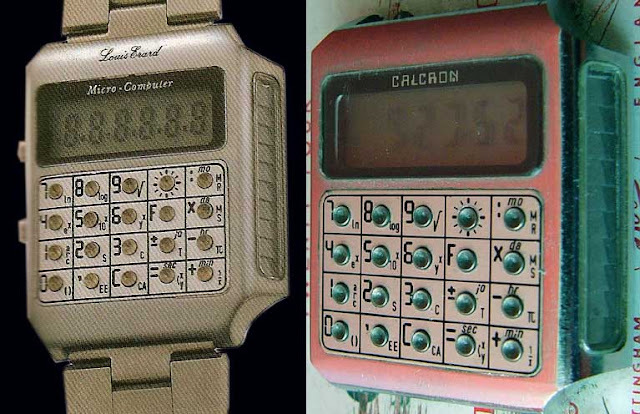 Heavily debated within a microcosm of vintage watch collectors as the first digital watch ever. 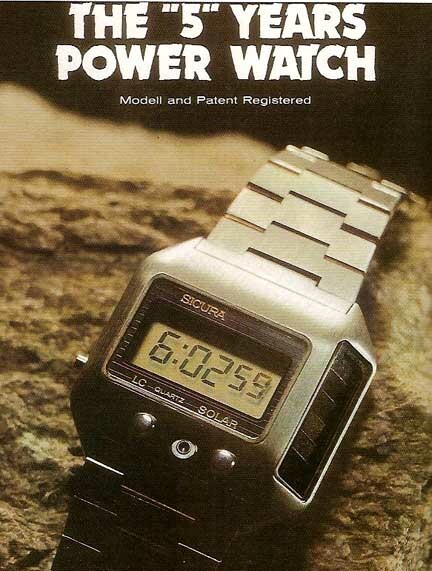 That distinction is commonly given to the 1970's Pulsar LED. 2. 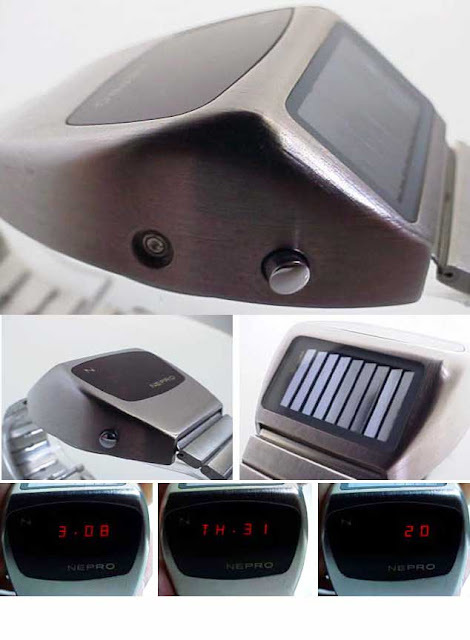 Nepro - 1975 LED with raised display and backside solar panels. 4. 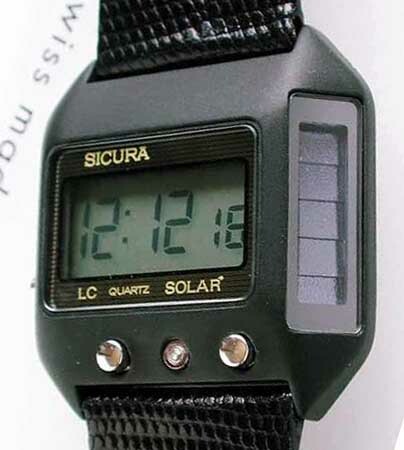 Sicura LCD - 1976 LCD with innovative solution of putting solar panels on the side of the watch. 5. 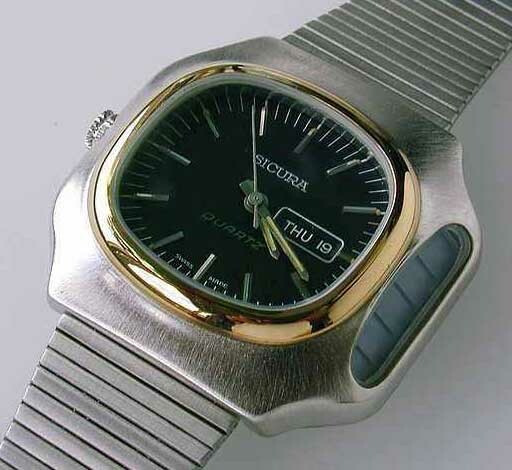 Sicura Analog - 1978 Analog version of the same watch. 6. 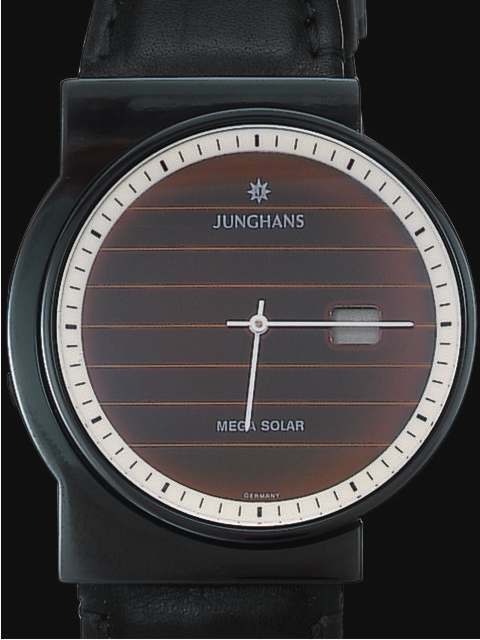 Junghans 'Mega Solar' - 1990's radio-controlled, PVD-coated wristwatch with solar cell, date and integrated radio receiver from one of the most accurate clocks in the world - the Caesium Time Base at Germany’s National Institute of Natural Engineering and Sciences. 9. 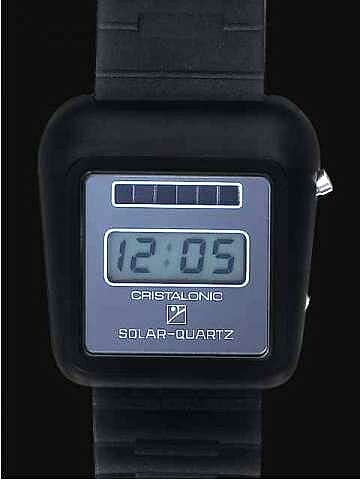 Cristalonic 'Solar Quartz' by GmbH - 1980's LCD with an asymmetric black plastic case. 10. 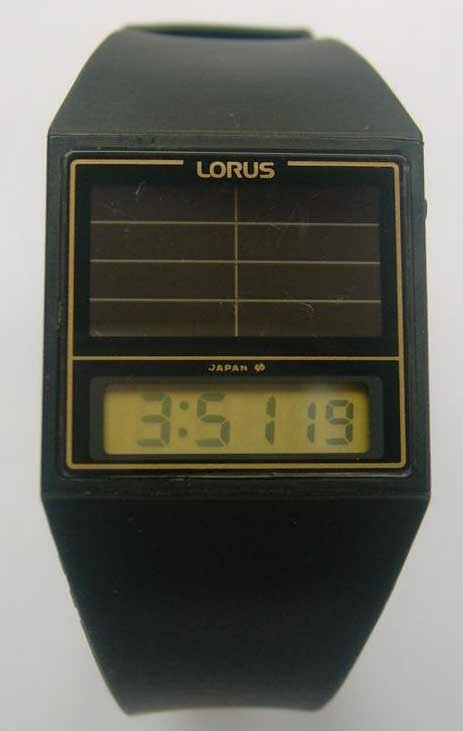 Lorus - 1980's solar LCD. 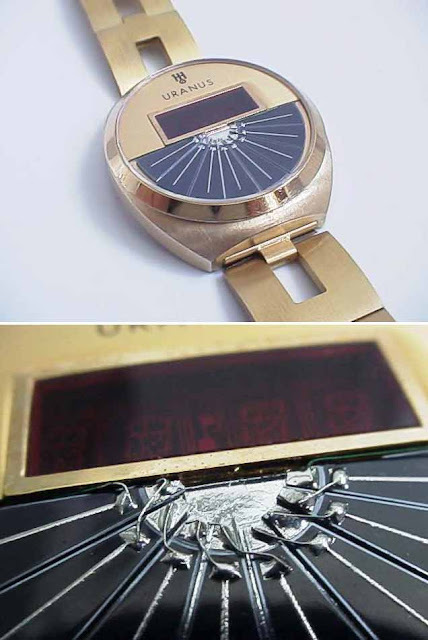 A division of Seiko.